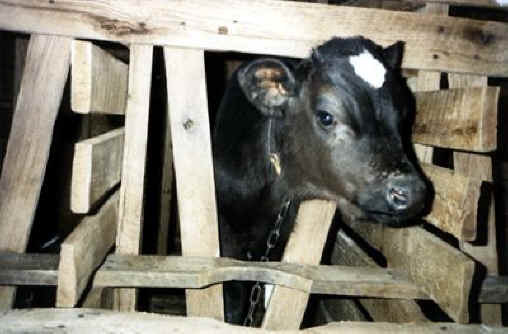 (Cattle Exploitation - Veal - 02) These gentle living souls are deprived of their mothers' love. God created cattle to have an intense bond between a mother and her child, just as He did with us; and by forcibly breaking this bond, humans cause great mourning and feelings of loss. This is evil! 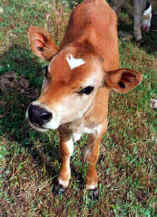 Every person who eats veal contributes to this evil.